Enjoy the pacific Indian Ocean view with live Jazz music on Sundays featuring some of the best Jazz, fusion and Afro-pop talent Durban has to offer. This takes place every Sunday from 3pm - 5pm. Nowadays poets/ izimbongi zesimanje is a Durban based Poetry Organization operating as POETRY SESSION (Where Experienced and Inexperienced) Poets Share. Their mission is to promote the use of Poetry, Creative Writing and Spoken Word and Related Art-forms within local and global communities. 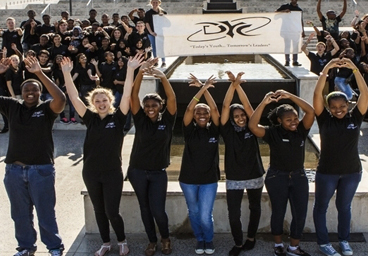 DYC (Durban Youth Council) is a non-profit organisation that aims at uplifting the lives of Durban youth. The organisation is over 45 years old with a membership of 30 schools with pupils from grade 10 to 12. DYC conducts seminars every Wednesday at the BAT Centre. Panel discussion and performances highlighting various conditions in regards to human and artists rights. 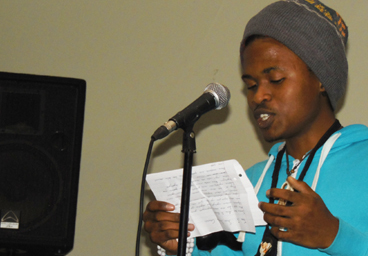 The BAT centre encourages youth groups to engage in activities that shed light relevant issues of the day. A cultural celebration encouraging integration and a cultural dialog between SA citizens & the exiled and those who possess refugee status in South Africa. Reliving the legacy of the legendary jazz musician Sipho Gumede who stood for through self-determination and the willingness of artists to work together. In the month of August the BAT Centre hosts an art exhibition, workshops, discussions and a live music concert in commemoration of women’s day. Urban meets rural - this is an opportunity for urban and rural to meet and engage in a cultural exchange through dance, poetry and music. A strong line up of Durban born jazz musicians whose contribution to the development of South African Jazz is yet to be acknowledged. A drumming festival of percussionists and musicians from KZN and neighbouring countries. The concert is a showcase of various cultures.